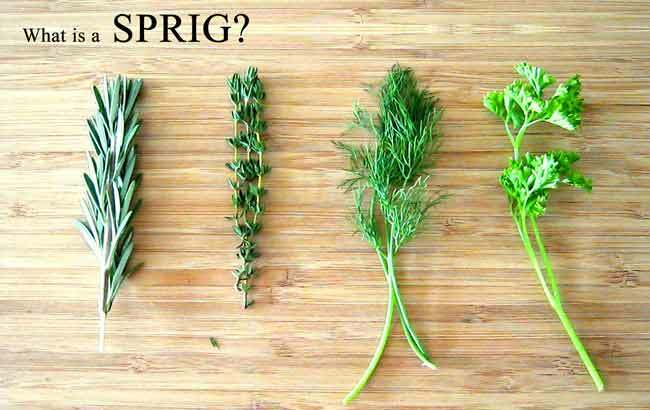 A sprig is a small stem or shoot bearing leave or flowers normally as part of a herb shoot. 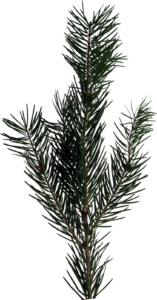 normally 2 – 4 inches, such as mint, rosemary or parsley to use in a recipe or dish. When cultivating plants from other plants you would take a cutting or sprig from the mother plant and plant it in river sand with root generation solution to create a new plant from scratch.